Once upon a time, "happily ever after" wasn't a phrase associated with hypoplastic left heart syndrome, or HLHS. For many years, parents were simply advised to make the most of their brief time with children born with the rare heart defect. That's one of the reasons the annual "Feel the Beat" event at Mayo Clinic's Rochester campus is such a celebration. The event is sponsored by the Todd and Karen Wanek Family Program for Hypoplastic Left Heart Syndrome and, as KTTC-TV reports, is about "bringing together people" living with HLHS to share their experiences while learning how research and treatments continue to evolve. This year's event brought together roughly 200 people from 15 different states. The event was especially poignant for newlywed Brenton Ball. Brenton's HLHS initially went undetected by doctors. A week after his birth, symptoms started to materialize. "He had reflux of the stomach, so he was continually vomiting," Brenton's mom, Heidi, says. "I just kept thinking something else was wrong, though, so I called our local hospital three times that night." The next morning she called to tell Brenton's pediatrician they were coming in. When they arrived at the clinic, Heidi tells us the doctor walked in, took one look at Brenton, and immediately walked out of the room. "They called the local hospital, put a chopper in the air, and put oxygen on him," she says. "He was clearly blue by then." At the hospital, surgeons repaired Brenton's aortic coarctation and banded his pulmonary artery. Two months later, he was sent home with a feeding tube. There would be more surgeries in his future. At the age of five, Brenton's cardiologist recommended he come to Mayo for a re-banding of his pulmonary artery, and more. At Mayo, surgeons performed three surgeries in an individualized treatment plan that would eventually create normal blood flow into and out of Brenton's functioning heart chambers while also allowing his body to receive the oxygen-rich blood it needed. Brenton also participated in a clinical trial at Mayo Clinic exploring whether a patient's stem cells can help strengthen the heart enough to prolong or prevent the need for a heart transplant later in life. Brenton tells us that today, at age 26, he still suffers some lingering physical effects and limitations because of his condition. But that hasn't stopped him from reaching a number of important milestones: working, buying his first house, and marrying his fiancée, Kelsey, just two weeks before this year's "Feel the Beat" event. Congratulations to the newlyweds. 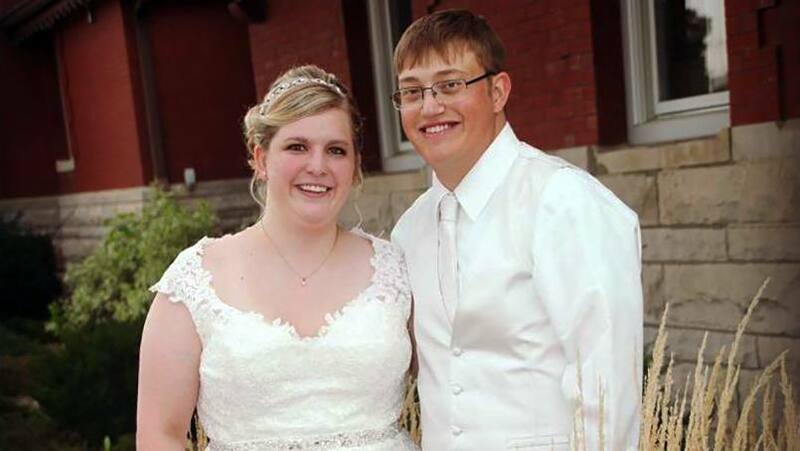 And here's to adding "happily ever after" to Brenton's HLHS story. Add your postscript by sharing your comments below, and by sharing this story with others.